If you haven't yet purchased a pump and pressure tank, we can help you choose the right equipment in order to get the most from your available water source. Choosing the right pump and pressure tank is important for both the quality of your water, the efficiency in which it works, and the effect on your finances. An inadequate system will not deliver the full benefits of your water supply, while an oversized pump will eat up your budget without improving your well's pumping efficiency. The professionals at Jensen Well have the knowledge and experience to help you select the right equipment for your well. Once we've drilled your well or located another water source and have helped you select the appropriate system for your water supply's capacity, we can complete your water system installation for you. After a detailed consultation to determine your needs, we will get started on your water system installation. Our experienced installation crews will run a line from your well to your house or hydrant, or they can connect a rural water source to your house or construction site. For more information or to get started with a free consultation, please contact us. We've added the links below to keep you updated on news and interesting facts as they become known. Please check back often for new links. Have your own link that might be a good fit here? Please contact us for consideration. 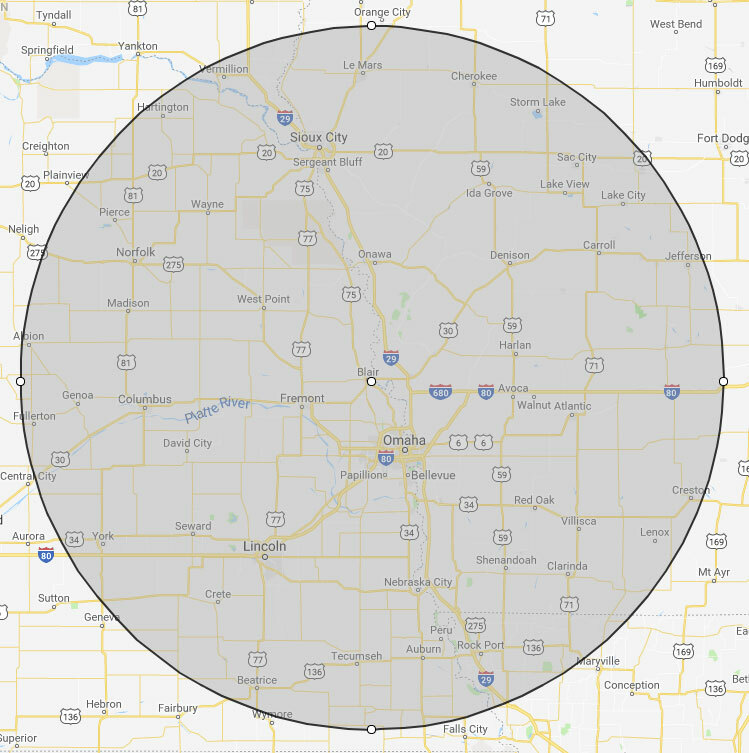 We offer Residential and Commercial well drilling services in Western Iowa and Eastern Nebraska. Interested in one of our products or services? Fill out our Web form and we will get back to you soon!